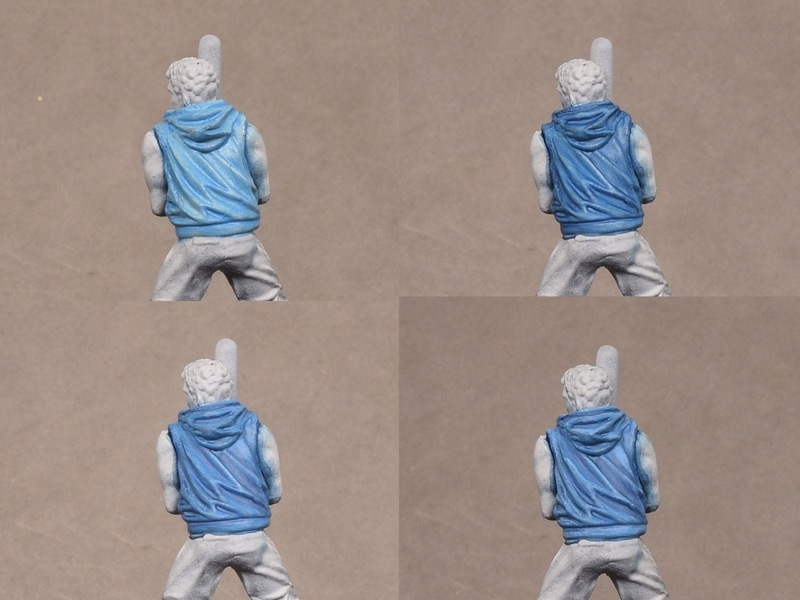 Patrick's hoodie was basecoated with crystal blue. A wash of blue tone ink was then applied. Crystal blue was then reapplied leaving the darker colour in the recesses. 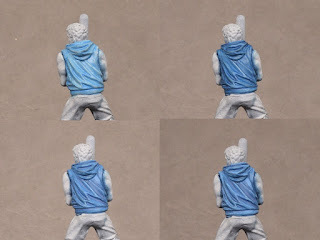 A highlight of crystal blue and white was applied to the creases of the hoodie. A lighter mix of white and crystal blue was applied as finely as possible along the creases. 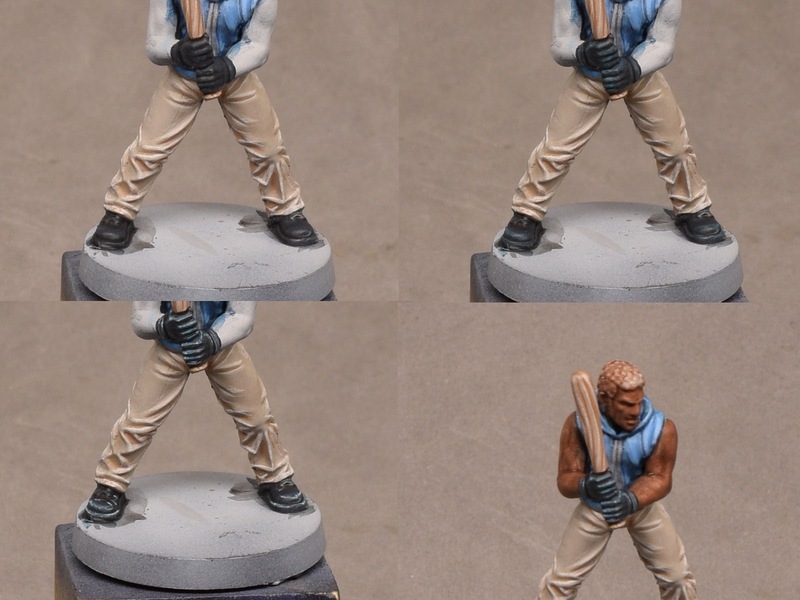 The pants were basecoated with banshee brown. Leather brown was applied neatly to the recesses. A mix of white and banshee brown was applied to the creases. White was applied as a fine highlight. 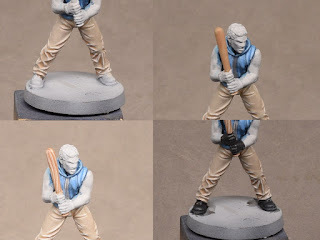 The baseball bat was basecoated with monster brown. 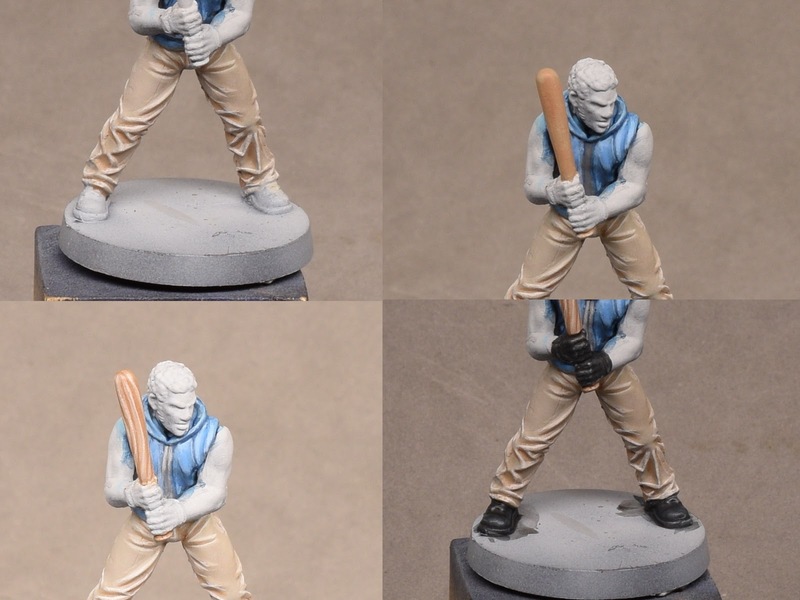 A mix of banshee brown and white was applied as stripes along the bat. 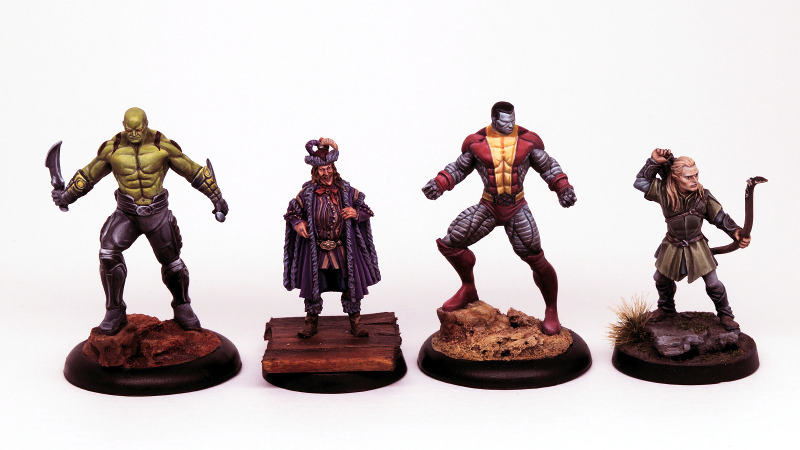 The boots and gloves were basecoated with black. A mix of deep blue and black was applied as a highlight to the boots and gloves. White was added to the previous mix and applied as the next highlight. White alone was used for the final highlight. 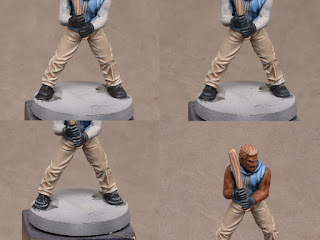 The skin was basecoated with oak brown. 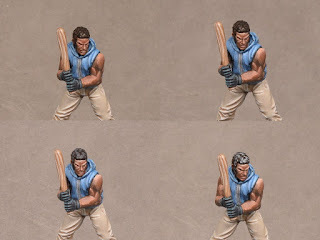 A mix of oak brown and deep blue was applied as a shade to the muscles. The skin was highlighted with a mix of oak brown and barbarian flesh. More barbarian flesh was added to the mix for another highlight. Mummy robes was added for the final highlight. 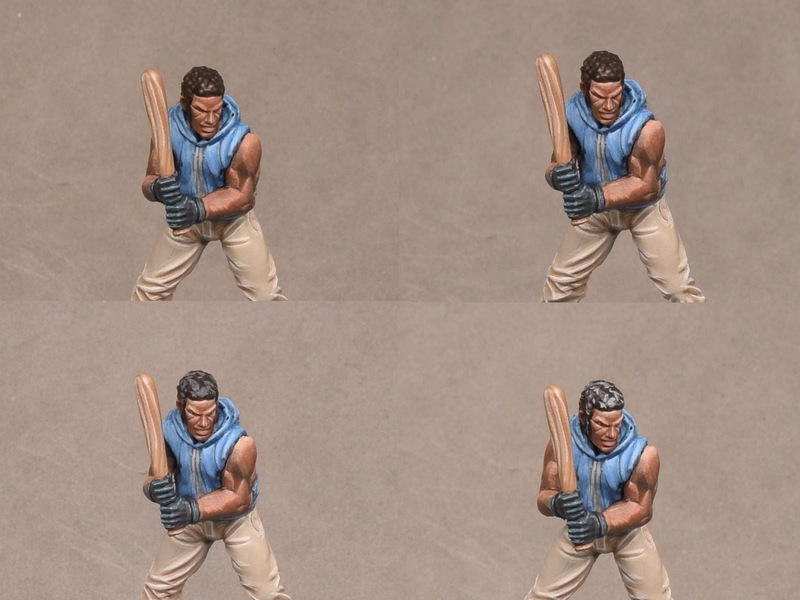 The hair was basecoated with a mix of black and oak brown. A wash of dilute black was then applied. 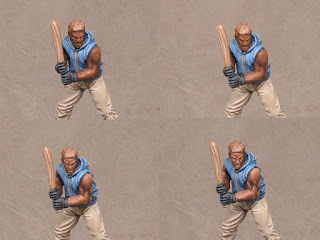 A mix of the basecolour and white was dabbed onto the hair. More white was added to the mix. 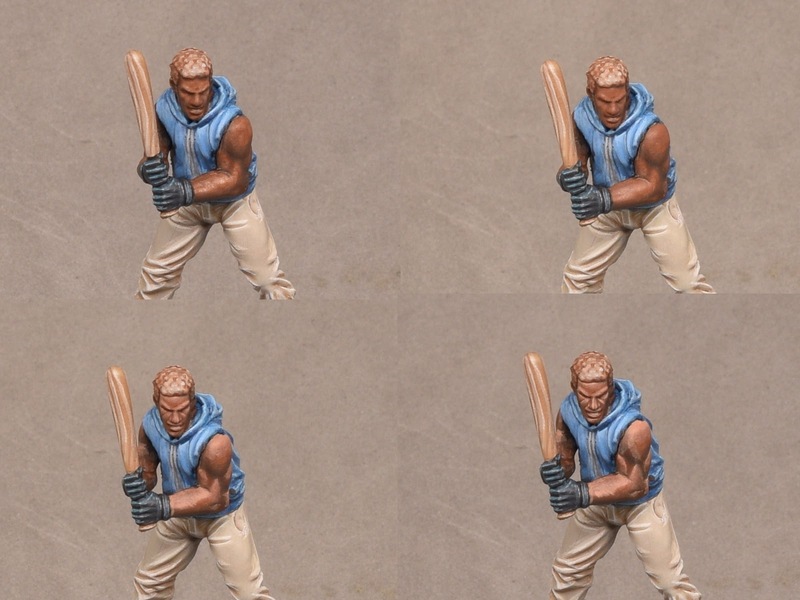 Not pictured - a dilute layer of the basecolour was applied.